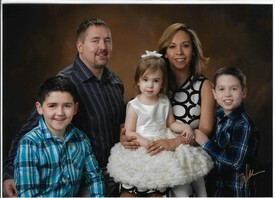 Dr.’s Joseph and Ilenne Noetzel are both full time practicing general dentists and the proud parents of two young boys and a girl. Both doctors Joseph and Ilenne have more than ten years of clinical experience, during which time they have and continue to serve the needs of their patients and strive to exceed their expectations regarding oral health care. Both doctors received their Doctor of Dental Surgery Degree from Marquette University School of Dentistry in Milwaukee, WI. In pursuit of clinical excellence both doctors completed a one year post-doctorate general practice residency in Chicago, IL. The residency consisted of training that goes beyond the level of pre-doctoral education in health care. The program provided didactic and clinical hospital experience at the post doctorate level with an emphasis in oral medicine and complex dental rehabilitation. The doctors are continuously completing more than 100 hours a year of continuing education in all phases of dentistry, so that they can utilize the latest techniques and materials for their patients varying oral health care needs. From routine to complex, the doctors are able to develop multiple sensible treatment plans and place them within the reach of just about anyone. DENTISTRY IS BOTH AN ART AND A SCIENCE. JOIN US IN THE PRACTICE OF OUR ART WHILE WE REVEL IN THE SCIENCE. THE BEST OF YOUR SMILE IS YET TO COME. 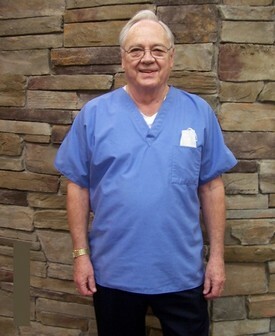 Dr. Miller is been happily married for over 50 years to his beautiful wife Sharon, they have two grown sons Darren and Craig. Dr Miller enjoys reading and running in his spare time. their evaluation board to aspiring dental hygienists. He has 6 adult children and a handful of beautiful grandchildren. 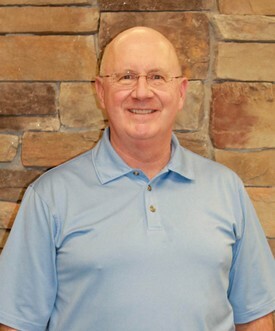 Dr. Michael Fagan has joined the Ashland Dental Center team in 2013, but has long since been a practicing dentist in the Chicago Heights area. He also has a separate dental office in Homer Glen, IL. Former Marian Catholic High School graduate. 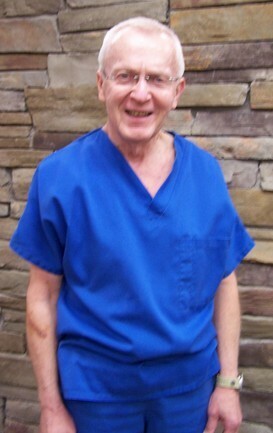 Perio Protect Patient Testimonial - Fran H.